This is a special time for children over 3 years old to learn and worship and pray together during our main Sunday morning service at 10am. The children 'do church' just like the adults do - they just do it in their own way! 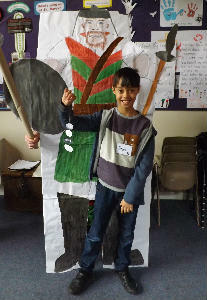 Lots of fun is had by all as they learn how much God loves them through bible stories, drama, crafts and games and as they worship and pray together too. At St. Mary's we long for our children to come to know that Jesus is their best friend - so that life long they will know that he is always with them. 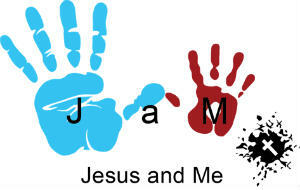 JAM meets every Sunday morning during term time, except for the first Sunday of the month when we have an All Age service, or when there is a special celebratory service like Mothering Sunday, Father's Day or Harvest and at Christmas and Easter. JAM-lite (not surprisingly a lighter form of JAM!) often meets on Sunday mornings during the school holidays as well. The children usually stay in church for the first prayers and hymn and then go off to JAM, rejoining the service as we take communion so that they can be part of this very important family meal. 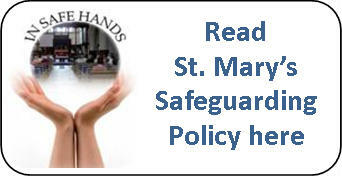 Parents are very welcome to stay with their children to settle them into JAM or to remain in church. You won't be far away if anyone wants to give you a call! 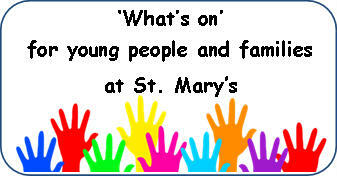 If you would like to know more, or if you have any queries, then please contact the Parish Office.